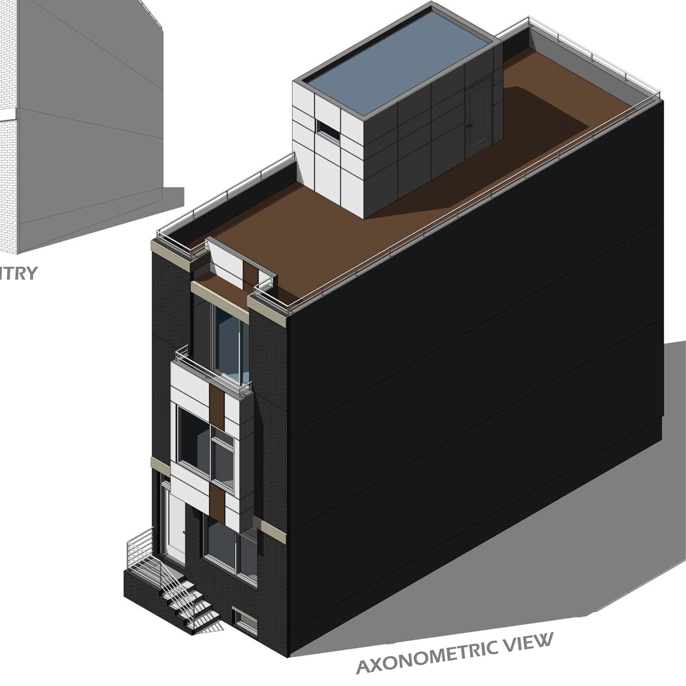 Design for a new construction 3-story single family row home in Philadelphia. The modern design features large picture windows, a 3rd floor master suite with walk out terrace, as well as a roof top terrace. The Material selection on the front façade features charcoal brick, and a crisp white cement panel bay with wood paneling accent strip.